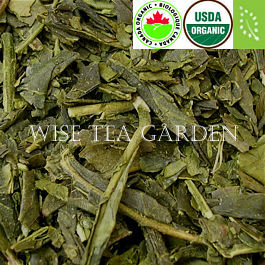 Green tea is an unfermented tea, which goes through the pan-firing or steam process right after plucking. 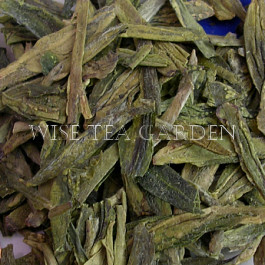 Chinese green tea manufacturers generally uses a pan-firing process on a hot wok or hot air. In Japan, green tea is processed by using steam for this purpose. 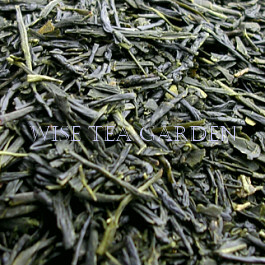 The infusion of green tea is yellowish green and aromatic with a fresh, slightly garry taste. The healthy properties of green tea are largely attributed to polyphenols. They give green tea its antioxidant properties and slightly bitter character. Although, Malawi Green Teas do not have bitterness at all! 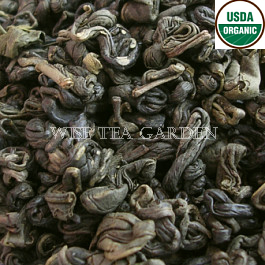 An amazing sample of such green tea is Malawi Zomba Pearls. Recent research conducted on large population of green-tea drinkers support the idea that regular consumption of green tea may prevent certain cancers, reduce risk of cardio-vascular disease, gum inflammation, and works as a weight-loss agent. Green tea also contains alkaloids like caffeine, theobromine and theophylline, that contribute to its effectiveness as a mild stimulant. Although drinking green tea is definitely beneficial, please drink it in low to moderate amounts. Do not overdose. Instead, try to replace an extra dose of caffeine with physical activities. Tea Tutorial » For the safe and appropriate medicinal use of Green Tea, consult your healthcare professional or please visit The Authority on Integrative Medicine ». Steeping Time: For the best taste, allow the boiling water to "rest" for a minute before using. Pour it over the tea, and allow it to brew for only one minute. To obtain maximum health benefits, brew a green tea for 3 to 5 minutes. Steeping green tea too hot or too long will result in a bitter, astringent brew, regardless of the original quality of a tea. Shelf life of nitrogen-flushed and vacuum sealed packs: 20-22 years. Japanese tea plant Sayamamidori which produces Sencha leaf was developed by crossbreeding in 1953. Another crossbreed Kyoumidori (1954) produces Tencha and Gyokuro leaf. What is Gunpowder tea? The Chinese name for Gunpowder Tea is Zhu Cha. It is rolled into tight pellets between the palms of the hand. 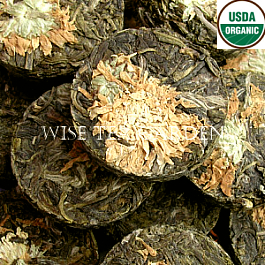 Rolling the leaf has two effects on quality of the tea. It forces to the surface flavorful juices that otherwise would remain in the leaf. Rolling also forces out water, thus helping to reduce the tea's final moisture content. Each pellet retains its shape during firing and keeps its freshness longer than tea not manufactured in a pellet form. * By a legend, the name Gunpowder was given by a young English clerk who thought the tiny rolled green balls looked like gunpowder. Cup Characteristics: Full bodied tending astringent (brisk) with a slight heady bouquet. Dragonwell is distinguished by its beautiful shape, emerald colour, scented smell and tending sweet floral character. Full green tea flavor. Ingredients: Luxury Green Tea. Infusion: Bright and green. Cup Characteristics: Tea Coins, pressed detoxifying green tea (not blooming). Exceptional and rare tea. 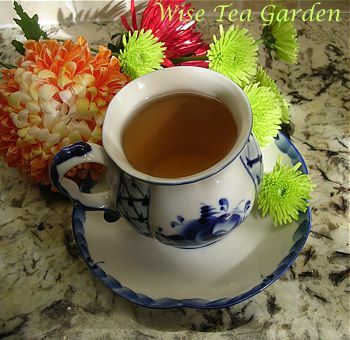 In addition to Chrysanthemum tea's purported use as a relaxant, traditional Chinese health practitioners maintain that the flower also helps detoxify the blood, aids in sinus congestions, lower high blood pressure, sharpens vision and clears the mind. 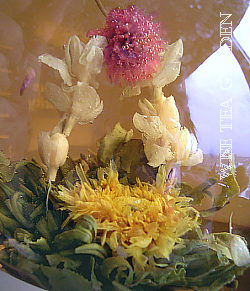 Ingredients: Luxury Certified Organic Green Tea, Organic Air Dried Chrysanthemum. Infusion: Pale green with yellow hints. 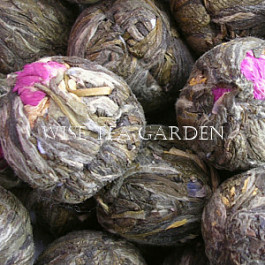 Structure: the petals of 4 flowers, wrapped up inside full leaves of fresh green tea. The leaf depicted the dragon's scaly skin while the flowers represented his treasure. Look at Dragon 4 Flowers Blooming Show » Cup characteristics: Light lavender notes wind their way through a floral bouquet and provide some depth and body to the early season green tea. The cup displays delicate, exceptionally fresh hints of grassiness that intertwine with the intricate mélange of the four flowers. Ingredients: Luxury Green Tea, Amaranth, Jasmine, Chrysanthemum and Lavender Blossoms. Infusion: Bright, golden infusion. Cup Characteristics: Smooth and deliciously vegetative with hints of astringency on the finish. An ultra rare, limited edition penultimate Green Tea of outstanding quality. Beautiful Kyushu leaf. One of the world's finest green teas only produced in early April. Ingredients: Luxury Reserved Green Tea. Infusion: Pale green liquor. 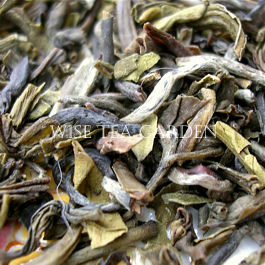 Cup Characteristics: Smooth with delicate and pleasing flavour and a heavenly jasmine character. The extraordinary flavour of these Jasmine Dragon Tears is due to the time of plucking, manufacture and the fresh spring jasmine blooms. Ingredients: Luxury Green Tea, Jasmine Petals. * A scented tea, no flavours added. Infusion: Pale green liquor. Organic Certificates: Certified to the standards of the USDA/NOP, COR (Canadian Organic) and EU (European Organic) by SAI Global Certification Services Ltd.
Cup Characteristics: Exquisite, abundant Jasmine character on a seasonal green tea. This Jasmine flavor is only possible with midnight May flowers. Ingredients: Luxury Certified Organic Green Tea, Jasmine Blossoms. * A scented tea, no flavours added. Infusion: Tending bright emerald green. Cup characteristics: Tea Coins, pressed detoxifying green tea (not blooming). Exceptional and rare tea. Sweet notes of French Lavender and green tea. From the moment you drop the pressed button of tea into your cup or teapot and infuse it, your senses heighten as the fragrant notes fill the air, the first sip beckoning a second. Ingredients: Luxury Certified Organic Green Tea, Organic Air Dried Lavender Blossoms. Infusion: Pale green tending yellowish. Cup characteristics: Lu Mu Dan was designed to represent the Wheel of Buddha - one of the oldest and most important Buddhists' symbols. In some remote villages of Zhejiang, there is a custom to turn the Lu Mu Dan wheel piece three times before brewing - once for hearing the truth, once for understanding the truth, and once for internalizing the truth. Having an extensive green tea flavour, this remarkable tea can definitely can be an excellent meditative companion. Ingredients: Luxury Certified Organic Green Tea. Infusion: Very pale with a touch of sunshine. 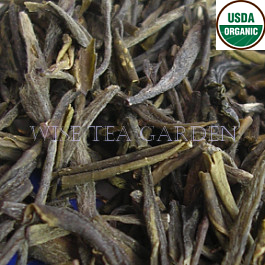 Cup characteristics: As it is known, Nepal produces some of the wold's finest Orthodox leaf teas grown whiout any chemicals. 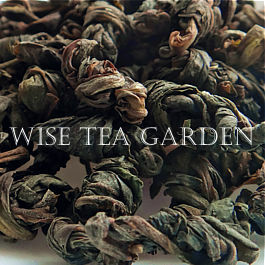 Most of Nepalese teas are considered as excellent examples of the top Darjeeling teas since the cup has the same mild muscatel finish with soft notes of wheat grass and good mouth filling astringency. 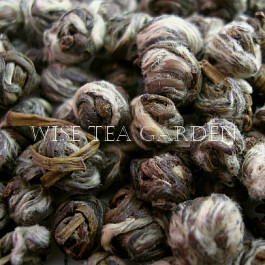 The superb mountain tea from 'Pure Land' with clean and transparent green flavour. * Naturaly Organic, Pesticide-Free. Ingredients: Natural Green Tea. Infusion: Bright and golden coppery. Cup Characteristics: A special, new season green tea with surprising body and a captivating taste. 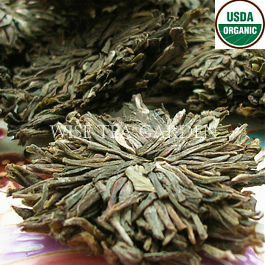 The Chinese name for Gunpowder Tea is Siaou Chu, which literally means large leaf. 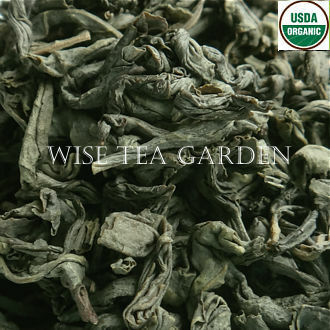 This tea is a classic top quality Gunpowder with good "green tea" taste properties - slightly vegetative, but refreshing and clean. 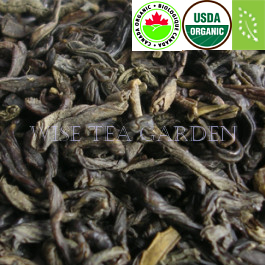 Superior quality gunpowder tea comes from the province of Zhejiang in China and from Taiwan. Ingredients: Luxury Certified Organic Green Tea. Infusion: Tending dark green. Cup characteristics: 'Pear River' signifies master quality, cleanliness and good health. This superior quality Pear River has curly leaves meaning that they have been hand plucked and hand sorted: only the top two leaves and the new bud have been taken to make this tea! Ingredients: Luxury Certified Organic Green Tea. Infusion: Tending bright forest green. Cup characteristics: Superb taste with sweet, almost honey-like notes. Deliciously vegetative with expansive flavor. This tea is manufactured under shou-mei principles: sun-dried and subjected to a minimum amount of processing so the tea's colour and aroma are as close as possible to those of fresh leaves. You can see evidence of this in the leaf appearance - the leaves are virtually whole with many bud sets and slight 'hairy' down, indicative of very careful hand rolling and superior hand sorting. Ingredients: Luxury Certified Organic Green Tea. Infusion: Very bright yellow-green. Manufacture type: Non fermented, Traditional steamed, Pan dried and polished. Cup characteristics: A medium-bodied Sencha leaf that tends lightly vegetative with long notes of wheat, clover honey, sweet grass and subtle seaweed. Known to be high in polyphenols. The cup pairs exceptionally well with foods of all sorts, it is also a great companion for peanut butter sandwiches. Superior quality Green tea. Ingredients: Luxury Certified Organic Green Tea. Infusion: Avocado-like green with brightness. Manufacture type: Non fermented, Traditional process, Small batch crafted. Cup characteristics: Named after Malawi's former capital, Zomba, this handmade tea offers a captivating grassy flavour with smooth and lush floral notes and clean finish. It tends sweet and unlike many greens, Malawi's green teas won't get bitter! Natural, grown without pesticides on Satemwa Estate. Ingredients: Luxury Green Tea. Infusion: Light olive green with yellow highlights.